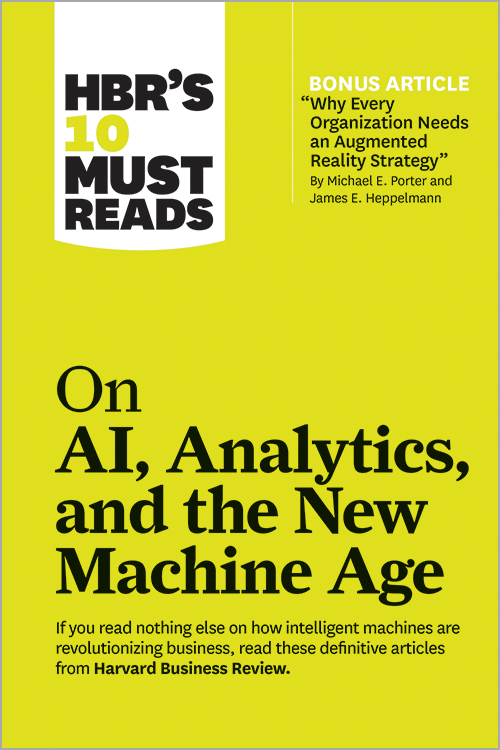 In this latest book from our Must Reads series, understand how machine learning and data analytics technologies work together, how to adopt them, and why your strategy can’t ignore them. 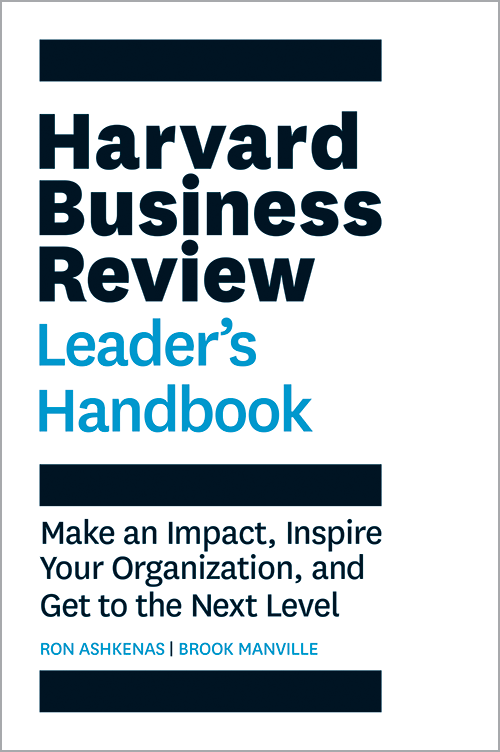 The one primer you need to develop your leadership skills. You’ll learn how to build a unifying vision, set strategy, manage for results, hire and inspire great leaders and teams, drive innovation, and, finally, lead yourself on your own career journey. 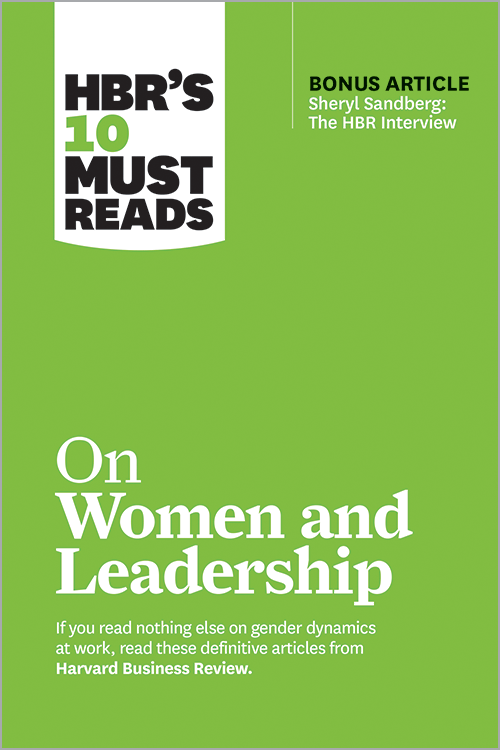 Learn the root causes of the barriers that exist for women in the workplace; check your own gender biases and distinguish between confidence and competence in your colleagues; and recognize the issues women face when speaking up about bias or harassment. 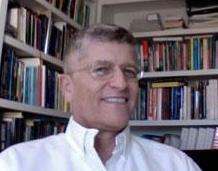 In this special guest feature, Carol Wells reviews the new book by Scott E. Page entitled "The Model Thinker." "A hands-on reference for the working data scientist, “The Model Thinker” challenges us to consider that the historical methods we have used for data analysis are no longer adequate given the complexity of today’s world. The book opens by making the case for a new way of using mathematical models to solve problems, offers a close look at a number of the models, then closes with a pair of demonstrations of the method." "How Smart Machines Think" by Sean Gerrish is a new MIT Press book that I would recommend to two classes of people: enterprise decision makers who are charged with evaluating AI, machine learning and deep learning technologies for their companies, and on the flip side, people who are looking to transition into the field of data science but know little about it. This is a great book for people in a hurry, something to pop into your carry-on bag the next time you're on a cross country flight. In this contributed article, Farhan Javed, Co-founder and Corporate Development Lead for Inkrypt, discusses the severity of the threats that data breaches pose to all online systems, what precautions need to be taken in order to mitigate attacks, and the compromises that need to be made between customer and company to ensure airtight security for all. This book is written as a companion book to the Statistical Inference Coursera class as part of theData Science Specialization. However, if you do not take the class, the book mostly stands on its own. A useful component of the book is a series of YouTube videos that comprise the Coursera class. This is a book about Natural Language Processing. By "natural language" we mean a language that is used for everyday communication by humans; languages like English, Hindi or Portuguese. In contrast to artificial languages such as programming languages and mathematical notations, natural languages have evolved as they pass from generation to generation, and are hard to pin down with explicit rules. In his new book, The Book of Why: The New Science of Cause and Effect, computer scientist and statistician Judea Pearl argues that AI will need to understand the how and why of relationships to reach human-like intelligence. Pearl, winner of the 2011 Turing Award, the highest honor in computer science, proposes that a reliance on association rule learning is hampering the development of AI. Pearl asserts that truly intelligent machines could handle situations for which they no have data and that machines equipped with causal reasoning tools, such as the algorithmization of counterfactuals, will experience accelerated learning speeds. AI and deep learning are pretty hot technologies right now, what with the accelerating interest in computer vision, image recognition and classification, natural language processing (NLP), and speech recognition. Deep Neural Networks (DNNs), upon which deep learning is based, are trained with large amounts of data, and can solve complex tasks with unprecedented accuracy. TensorFlow is a leading open source software framework that helps you build and train neural networks. Here’s a nice resource to help you kick-start your use of TensorFlow – “Learning TensorFlow” by Tom Hope, Yehezkel S. Resheff and Itay Leider. This O’Reilly book is short and sweet at 228 pages. I found it concise in how it provides a hands-on approach to TensorFlow fundamentals for a broad technical audience – from data scientists, to data engineers, to students and researchers. If you’re looking for an in-depth introduction to neural networks and deep learning however, this book is not for you. There are many other fine texts for that purpose. The purpose of the book rather, is to provide a quick introduction to the TensorFlow framework and get you up and running. I think this goal is achieved. This book is a welcome alternative to the online documentation for TensorFlow (I don’t like learning purely from online content; I need to hold a book in my hands). You’ll need to be familiar with Python programming, as code snippets are found throughout the book. The book directs you to the MNIST handwritten digits data set to perform some machine learning and image processing. So early on, you are building Convolutional Neural Networks (CNNs) with Python and TensorFlow. Next, you’re introduced to the CIFAR10 data set. You’ll learn to train a DNN and build models to recognize images of automobiles, airplanes, and various animals with a decent 70% accuracy using TensorFlow. Some may question the use of the MNIST and CIFAR data sets (which are the same ones you’ll find discussed on the TensorFlow website), but I don’t see that as a bad thing. These are industry standard data sets and offer a certain level of familiarity while learning a new framework. At only 228 pages, you can’t consider this book a complete TensorFlow reference manual. However, you can use the book as a first-level reference as you dig deeper into the framework using more in-depth online resources. You’ll benefit from knowing some Python, and reasonable knowledge of computer science, machine learning, linear algebra, and statistics are almost expected. I appreciated that the higher level abstractions are saved for later in the book (Chapter 7). Once you’ve worked through CNNs and RNNs, the book introduces contrib.learn, TFLearn and Keras for higher level abstraction. The book walks you through how to install and use these open source technologies. Additionally, no contemporary book about deep learning technology would be complete without a discussion of distributed computing (Chapter 8). This chapter walks through examples of working with clusters to compute gradients across a cluster to speed up training. “Learning TensorFlow” represents a quick introduction to this popular deep learning framework. It won’t be your only learning resource, but it’s a great place to start. If you find yourself going through the new 5 course series for the Deep Learning Specialization on Coursera, you’ll find that TensorFlow is used regularly and this book will be a welcome resource. A new guide from Dataiku provides a high-level overview of recommendation engines, how they’re built, and how they can be used to improve your business. Download the full report to find out how recommendation engines can be an effective way to drive more eyes to your content. Here's a tremendous learning resource for Deep Learning practitioners - a complete set of video walk-through presentations for each chapter from the recent book "Deep Learning" by Goodfellow, Bengio, and Courville. This book is considered one of the finest texts on the subject. The video series is an excellent way to advance through all the material in the book. Get the full story here. I recently had a need for a Python language resource to supplement a series of courses on Deep Learning I was evaluating that depended on this widely used language. As a long-time data science practitioner, my language of choice has been R, so I relished the opportunity to dig into Python to see first hand how the other side of the data science world did machine learning. The book I settled on was "Python Data Science Handbook: Essential Tools for Working with Data" by Jake VanderPlas. Get the full story here. "... a pithy, essential guide to statistical blunders in modern science that will show you how to keep your research blunder-free..."